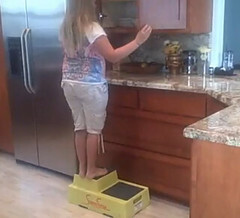 Now there is a 2 step stool that can help kids, seniors, little people and even the physically disabled reach the necessary height to perform everyday tasks. A person using the 2 Step Stool can easily step up 6 inches to the first level on this step stool and then up 4 inches to the second step on this step stool. 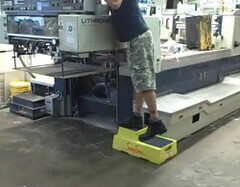 This lifts the person 10 inches off the ground so you can reach high shelves at home or work. The 2 step stool is very light, 9 pounds, and has 6 rubber pads on the bottom to prevent it from sliding in wet or slick areas. 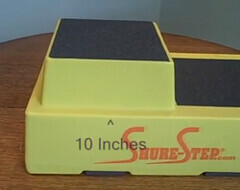 The step is also covered with a sand paper top that allows for easy gripping whether the person on it is barefoot or wearing shoes. The 2 step stool is also rated for 500 pounds. 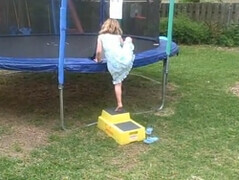 * the 2 step stool can be used to help children to climb up to the trampoline. * the 2 step stool can be use in reaching high shelves either in your house or in office. * the 2 step stool can help you reach products you need in a grocery or department stores which are placed on higher shelves. 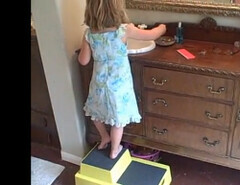 * the 2 step stool can help the kids to reach the sink to wash their hands or reach the water fountain in school. 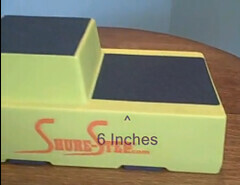 * the 2 step stool can be use in many commercial application in industries. 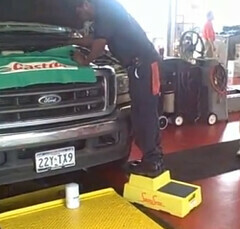 * the 2 step stool can also be use in servicing vehicles. These are just a few of the uses for the 2 step stool. And you don’t have to worry if it will tip over or become unstable because this 2 step stool is very sturdy and has a large base to keep it from tipping. 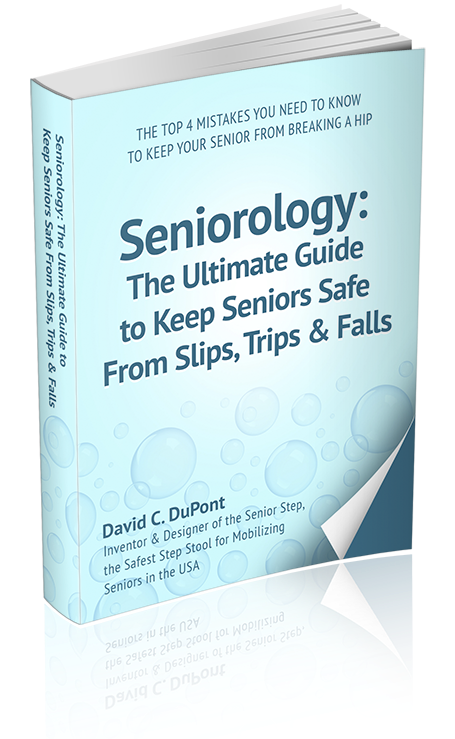 It assures your safety from slips and falls that cause accidents. You will discover more of its great value when you have it in your home, in your store, offices, industries, schools or anywhere that a 2 step stool is needed. Isn’t it great to have this kind of product for us? Grab one now!